AMTC’s VIP Webinars are an insightful, industry-relevant way to learn in the comfort of your own home. In 2017, they'll be offered monthly, totaling a minimum of 22 one-hour-talent intensives on a variety of subjects. They include videos and live seminars with industry experts and successful Christian performers. A live chat Q & A segment follows each session. AMTC’s VIP Webinars are a step up for performers to learn from professionals without leaving their homes. Streaming videos by industry experts with a live Q & A session. 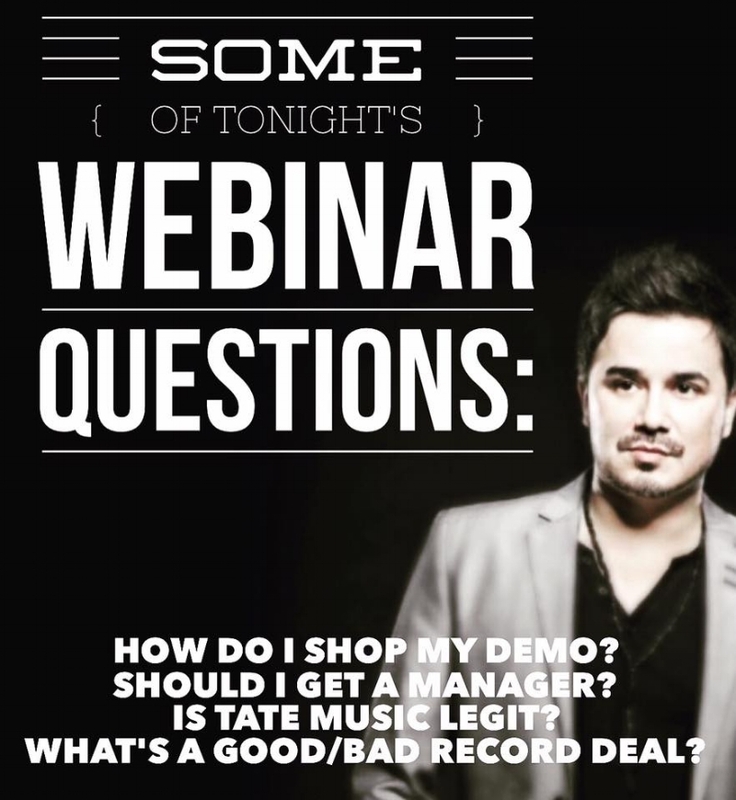 You will also have access to the pre-recorded webinars, but obviously you won't be able to ask live questions. If you sign up for a full year, or complete a full year, you will receive a Signature Headshot from AMTC’s NY/L.A.-trained Photo and Style Team. After you have completed 12 months, or if you purchase a full year of webinars, you will receive a Signature AMTC Headshot by AMTC's pro photo team, shot in any of 8 AMTC Hub cities: NY • L.A. • Chicago • Atlanta • Orlando • Dallas • Denver • Seattle. Additional looks are available for purchase here. Webinar links may not be shared.